The online registration portal was closed on 9 Nov 2017 (Thursday), 14:00 (GMT +8:00). Don’t worry, if you missed the online registration deadline due to your busy schedule, you may still register on-site on the day of the event. However, if the number of attendee exceeded the venue capacity, we would regrettably follow the first-come, first-serve basis. ATM transfer or Credit card payment in Taiwan only. You can get the receipt if you pay in Taiwan. Cash payment on-site is acceptable only for the donation. Thank you for your cooperation. 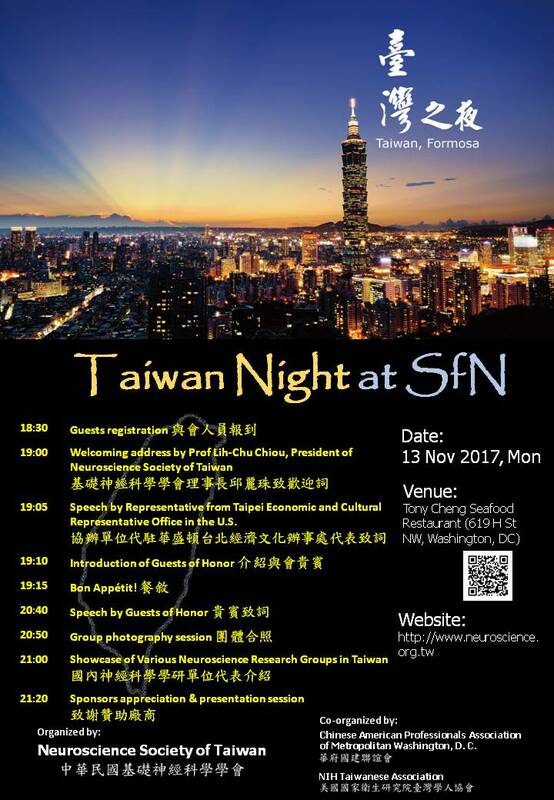 We look forward to meeting you @ Taiwan Night 2017!